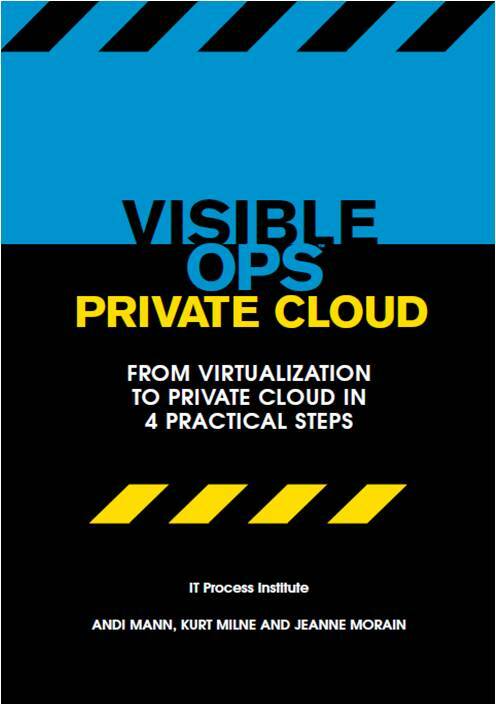 After many months of blood, sweat, and tears, today we are finally launching a brand new book that I co-wrote (alongside a couple of amazing people – Kurt Milne and Jeanne Morain), called Visible Ops Private Cloud: From Virtualization to Private Cloud in 4 Practical Steps. I am certainly excited because this is my very first ‘real’ book – a hard-copy print volume (Kindle and PDF versions will be available soon too), available for purchase on Amazon.com and ITPI.org, with a real ISBN and everything! In addition, I am thrilled to have worked with experienced professionals like Jeanne and Kurt . Together, we have over 60 years experience in systems management, automation, virtualization, and cloud with some of the best and brightest vendors including VMware, CA Technologies, BMC Software, InstallFree, Thinstall and more. Moreover, I am proud that Visible Ops Private Cloud is based on over 30 in-depth interviews with actual practitioners – managers, architects, CIOs, administrators, and others working in healthcare, finance, service providers, education, manufacturing, hi-tech, and other enterprise IT organizations, who have successfully implemented private cloud solutions. Most especially I am excited because with this combination, we have created something uniquely valuable in Visible Ops Private Cloud. You will also know that this is a book for ‘doers’, not just ‘thinkers’. Indeed, in keeping with the mantra of the Visible Ops series, Visible Ops Private Cloud aims to provide prescriptive, actionable guidance on how to drive cloud success by turning your virtualization project into an enterprise private cloud strategy, based on best practices from other professionals and organizations. Phase 1: Cut through cloud clutter – plan and communicate objectives, manage initial proof of concept efforts, and develop competency road maps. Phase 2: Design services, not systems – design business optimized cloud services, enable one-touch service ordering, and implement a repeatable approach for build and deploy. Phase 3: Orchestrate and optimize resources – update monitoring and alerting, deploy a policy engine to codify response, automate resource changes and workload moves. Phase 4: Align and accelerate business results – complete transition to a resource rental model, reshape consumption behavior, and streamline response to changing business needs. While we were trying to provide useful content for an audience anywhere from a sysadmin up to CIO, the real sweet spot will be those practitioners who are responsible for the initial design, ongoing deployment, and ultimate success of their organization’s private cloud strategy – the ops manager, sysadmin team lead, enterprise architect, CTO office, development manager, virtualization lead, or the virtualization/cloud project manager. Mainly we tried to recognize where these people were really up to with their cloud strategies, and to provide useful and actionable advice to help them advance their progress. 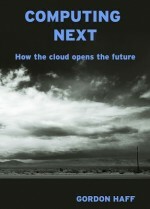 So in this book you will not read much about how to optimize hypervisor configuration settings, or how to schedule a VM backup; nor will you see much high-level exploration of elementary cloud definitions or the conceptual ‘journey to the cloud’. What you will see is a concise run-down of the situations in which you might find yourself; the defined steps you need to take to make and show progress; how to put this advice into action across the affected people, processes, and technologies; and some real-life war stories highlighting how to avoid specific problems, and explaining critical issues you will need to understand. That said, we certainly hope that Visible Ops Private Cloud will provide an excellent resource not just for these strong practitioners’ own use. We also expect this book to be a valuable resource they can use to educate their CIOs on the tactical realities of building a private cloud, and to educate their more focused hands-on colleagues on the important strategic business and IT goals that their work is helping to accomplish. Perhaps the most important part of Visible Ops Private Cloud is that our personal experience is not the sole factor – or even necessarily the main factor – in how good the content in this book turned out. Despite the authors’ sometime involvement with various software vendors, this is truly an independent effort, without a single brand or product name mentioned throughout. On the contrary, the real stars throughout the book are the practitioners – the administrators, sysadmins, programmers, operators, CIOs, enterprise architects, and others – and their experiences in virtualization and cloud. Their insights into what makes a private cloud successful – and some of their war stories too – come through loud and clear. Their stories ensure Visible Ops Private Cloud delivers a very realistic, pragmatic, and independent investigation based on real-life implementations. So how good is Visible Ops Private Cloud really? Well, you can do a search for it, and see what other people are saying (I will try to update this blog with some links as they come out). Or you can simply order a copy from Amazon or direct from the ITPI and read it yourself. If you do – and I really hope you will – please let me know. I would love to hear what you thought. Kindle version soon please; can’t wait to read it.